Want to know all about green tea diets? Green tea health benefits may hold the answer you have been seeking. The powerful antioxidants you find in cup of green tea are ready to be unleashed in your mind and body. 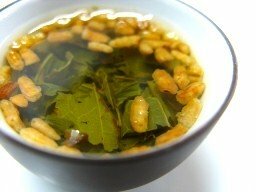 This medicinal tea has been doing wonders for us for more than 4,000 years, but why is it so special and loved among tea drinkers, you may ask. Green tea health benefits are tremendously effective as green tea leaves undergo minimal processing, thus resulting in a higher concentration of antioxidants. As you may know, green tea comes from the tea plant Camellia Sinensis. 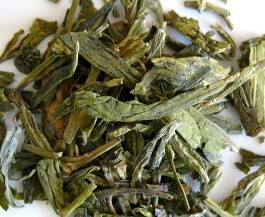 The processing methods are what distinguish green tea from the other kinds of tea. 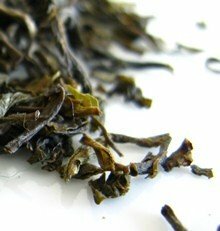 The leaves are immediately steamed after being harvested, avoiding any oxidation, thus protecting their antioxidant content. Find out more about green tea health benefits next. Let's look at the benefits of tea hidden in each cup. Worried about your cholesterol or blood pressure? This may be the right tea for you. The high presence of catechin polyphenols, specially Epigallocatechin gallate ( EGCG) helps lower down LDL cholesterol and improves the ratio between good (HDL) cholesterol and bad cholesterol (LDL). It also prevents the formation of blood clots, thus avoiding cardiovascular diseases, such as strokes or heart attacks. It heals and takes care of your heart. Catechins are also able to reduce the blood glucose and balance the insulin levels in the body. This makes green tea a glucose regulator, improving insulin sensitivity. It will help preventing diabetes which, as you may know, may cause other serious diseases. One of the green tea health benefits is the ability to fight free radicals, which may harm DNA and cause cancer. Once again, the high content of antioxidants, namely EGCG, a hundred times more potent than Vitamin E, boosts your immune system, making it stronger to fight cancer. This stunning antioxidant blocks the enzyme, urokinase, necessary to the development of tumors. Are you impatient to smile again? Tired of fighting against dental plaque? Don’t worry! Green tea health benefits include helping to prevent tooth decay, due to the presence of fluoride and minerals. As an antiviral agent, green tea prevents and fights bacterial infections that cause plaque. Here’s a tip: Try rinsing with green tea after meals. It’s a good way to start and the feeling is absolutely refreshing. Your kids will enjoy it too! What about ordering green tea when at a restaurant? It may be a good solution when it is not likely that you'll be brushing your teeth right after your meal. Yes, it is true. One of the most known green tea health benefits is weight loss. Are you tired of following strict diets and seeing no results? Green tea may just be the answer. Having a cup of green tea with each meal is an excellent start. Its caffeine and polyphenols content will be an effective metabolic stimulant, thus helping the body to burn more calories safely and naturally. Great, isn’t it? As we mention before, being a glucose regulator, green tea may regulate the natural glucose levels of sugar, hence avoiding fat storage. It also reduces your appetite. 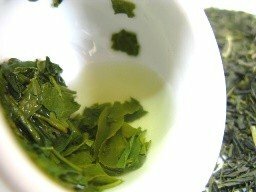 Green tea has only 4 calories per serving, so why not reduce your calorie intake, by replacing that high calorie coffee embellished with cream and sugar, for this Chinese diet tea? It is healthier and it gives you the energy you need. It acts as a diuretic, so green tea antioxidants will not only help you burn fat, but they will also do wonders for your urinary system. Keep in mind that this liquid is powerful, but to increase the rate of your metabolism you should eat healthily and do exercise. If you keep moving, green tea antioxidants will burn calories faster, so why not take the stairs instead of the lift? It’s a good way to start! And here's a tip: check out our section on herbal teas and find out what herbs you can mix with your green tea. Try new flavors while you lose weight and make going on a diet a new and fun experience. Antioxidants in Green tea are protein compounds that slow down the oxidation process, hence stopping cell decay, which results in aging and hair loss. The good news is that drinking green tea on a daily basis improves the health of your skin, making it smoother, younger and fresher. Your skin, hair and nails will be stronger and you will feel and look revitalized and energized. Here’s a tip: if you enjoy the sun too much, try to apply green tea extract, combined with hot filtered water, on your skin for 10 minutes, three times a day. This may help if your skin is damaged or sunburned. EGCG helps to shield brain cells from dying, promoting neurorestoration, which is a tremendous help when fighting against Alzheimer’s, Parkinson’s, multiple sclerosis, among other diseases of this nature. Reduces the severity of rheumatoid arthritis. Inhibits the bacteria that causes food poisoning. If you experience flu symptoms, green tea is a good way to stop that flu from coming. Would you like a cup of green tea now? Green tea health benefits are astonishing as you have read. However, there are some side effects to this wonder drink that you should be aware of. Take note that there may always be risks associated with ingesting too much of any substance, so be sure to respect your constitution. Although the caffeine amount in green tea isn’t much, if you are sensitive to caffeine it may cause you to experience insomnia, hypertension, anxiety, irritability, nauseas, tremors, heart palpitations and frequent urination. Green tea decreases the absorption of some nutrients, which may cause iron deficiency. In some cases, this may lead to beriberi, a nervous disease system disorder known for causing weight loss, heart palpitations, weakness, edema and impaired sensory perception. Should pregnant women drink green tea? This must have popped into your mind whether you are either pregnant or just thinking about it. It is indeed a very important issue and we are here to help you clear all your doubts. So don't put away your teapots and cups just yet, relax and enjoy the moment. Pregnant women may drink green tea, but it is important to limit the amount of its intake, especially in the first trimester. If you are already a green tea lover, then there is no reason for you not to enjoy the many green tea health benefits. However, when you are pregnant your body changes and some of the side effects of green tea mentioned above may harm your health, so reduce to two cups of day, more or less, your green tea intake. Let's have a look at some of the possible risks this tea may represent for you. This is clearly one of the biggest problems for pregnant women. Yes, we know you probably enjoy the boost it gives you in the morning and you are probably feeling more tired than usual, but excessive caffeine intake may lead to premature or under weight babies. It is a stimulant that will increase your blood pressure and heart rate, which isn’t such a good thing when you are expecting a baby. 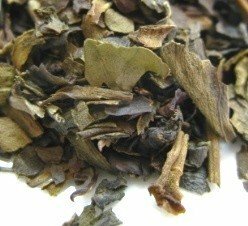 Green tea’s potent EGCG is wonderful as you've seen. However, it will also reduce foliate level, which is quite important to pregnant women. This reduction may lead to neural birth tube defects in babies. If you are pregnant keep in mind these recommendations and please consult your physician to better know what is more suitable for your organism. Limit your green tea intake, experience a balanced and healthy diet and work out to keep fit and vigorous. Your body and mind will thank you. Buy your Green Tea Today! Click on the image or on the link below to purchase from Art of Tea your Jasmine Pearls. Wonderfully jasmine-scented green tea rolled into tiny balls. This is a great way to enjoy all the benefits of green tea every day. Buy your Green Tea here! Healthy and effective, it will revitalize your mind and body. These amazing and powerful antioxidants whirl in your mug, just waiting for you. Whether you prefer green tea supplements, green tea powder or liquid it will dazzle you and your family. Green tea is nature’s medicine.